Lucid Deliberations: #5. Interpretations matter more than misinterpretations. – I'm Here; Right Here. Lucid Deliberations: #5. Interpretations matter more than misinterpretations. Inspired by a fellow wordpress blogger. 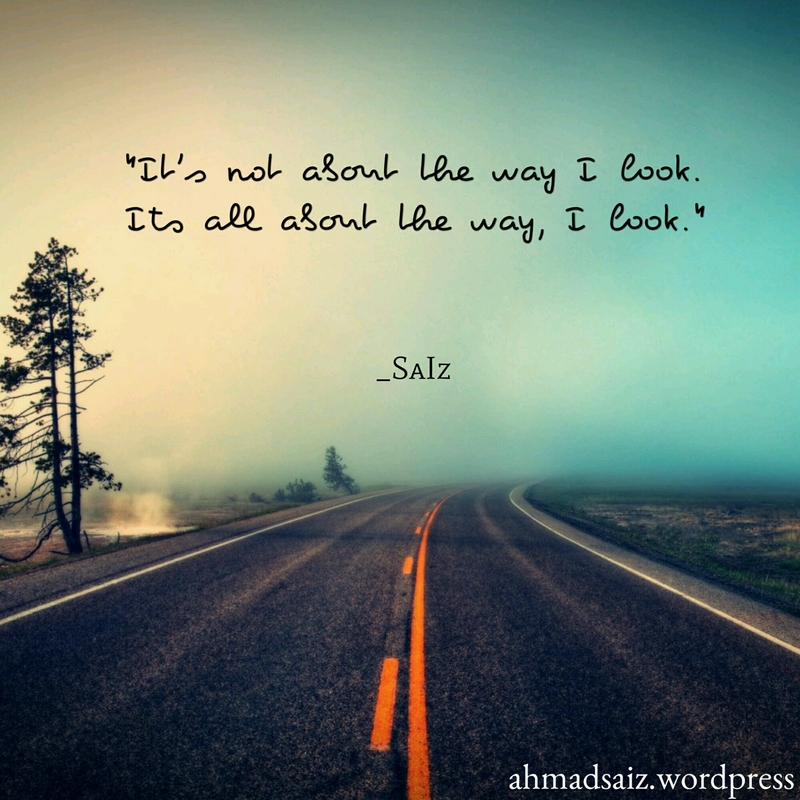 “It’s not about the way I look. By the time of posting it I only had four interpretations inveterately navigating through my brain. Putting some more effort after being hinted, I tried knacking and finally explicated two more. It’s not about how presentable I look. Its all about how I look at things. It’s not about how I look at things. Its all about how presentable I look. It’s not about how I look at a path. Its all about the path that I look at. It’s not about the path that I look at. Its all about how I look at a path. It’s not how presentable I look. And a comma is not that important they said. You can call me a nerd, an orthodox even; but, I literally, obviously, really hate it when people don’t punctuate their sentences properly. Note: I have a very minute foresight of the dexterity of some people to pull off one interpretation which isn’t mentioned above. Let me know that in comments. Lucid Deliberations #4. Translations can never be exact. I’d love to. Allow me to. Oh amazing. That’s nice to know. This series is going good. But, unfortunately I have to end it at five.